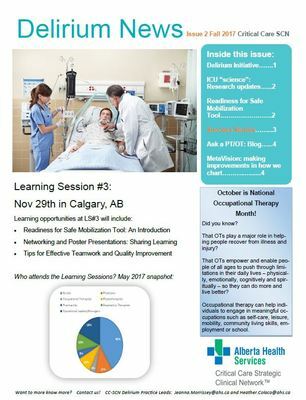 Developing provincial standards and provincial clinical practice expectations for pain, agitation & delirium care in ICU. Implementing evidence in-formed best practices for assessment, prevention and management of pain, agitation & ICU delirium. Developing a operational and quality dashboard on ICU delirium to facilitate continued quality improvement and learnings.